How many complete Alco RS11's running today? Not many I bet. Now repaired, painted black and lettered for "Shenandoah Valley RR" by the Durbin & Greenbrier. 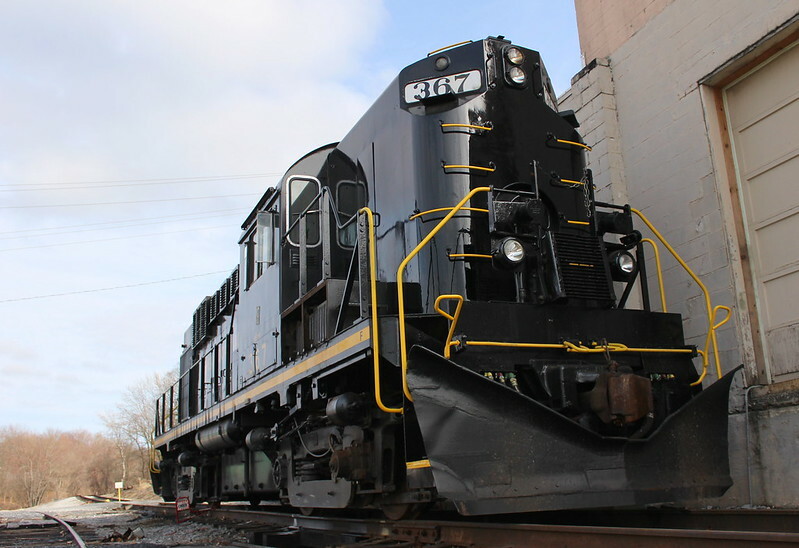 "The Alco RS-11 new to the Shenandoah Valley Railroad sits in it's brand new paint scheme at the engine facility in Staunton, VA."